Kuwait blocks UN Security Council resolution condemning terrorists for indiscriminate mortar and rocket fire on Israel. condemned the firing of rockets and mortar shells by terrorists in the Gaza Strip on Israel that triggered the worst military flareup since a 2014 war. The United States had circulated the draft text ahead of an emergency council meeting, to be held later Wednesday at Washington’s request, on the rocket and mortar attacks by Hamas and Islamic Jihad. Kuwait, a non-permanent council member that represents Arab countries, said that it was blocking the statement to allow for consideration of a draft resolution it has put forward on the protection of Gazan civilians. 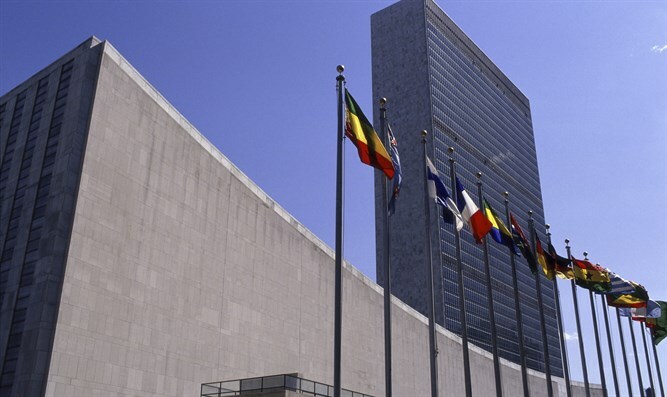 Two other draft statements expressing concern about the violence in Gaza were previously blocked by the United States, laying bare the sharp divisions on the Security Council over the Arab-Israeli conflict. In response to the mortar and rocket firings, Israel said it pounded some 65 militant targets in the Gaza Strip. enclave run by Islamist movement Hamas, which would be the fourth since 2008.
territories and the Gaza Strip, according to the draft obtained by AFP.